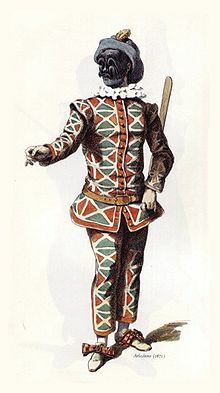 Motley refers to the traditional costume of the court jester, or the harlequin character in commedia dell’arte. The latter wears a patchwork of red, green and blue diamonds. (Wiki).